I’m sure I don’t have to tell any of you. 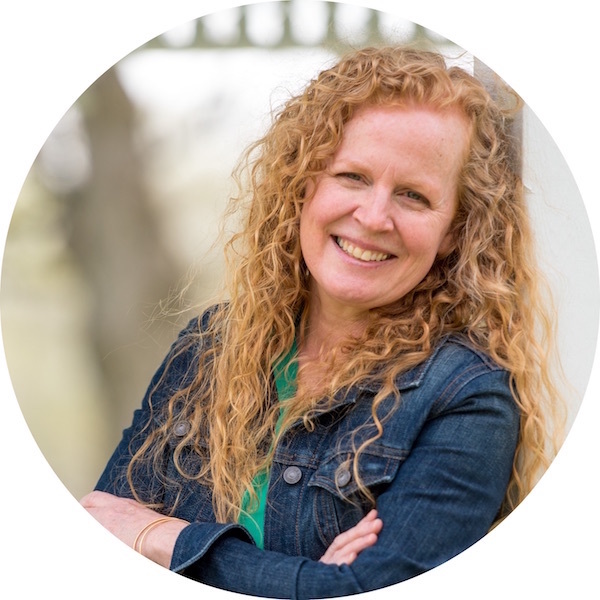 But I’m not always sure that parents realize how much our students ‘lose’ over the summer months they are home, soaking up the sun and doing all the fun things that kids SHOULD be doing over the summer. But with a little bit of practice and review, that percentage can be altered drastically. 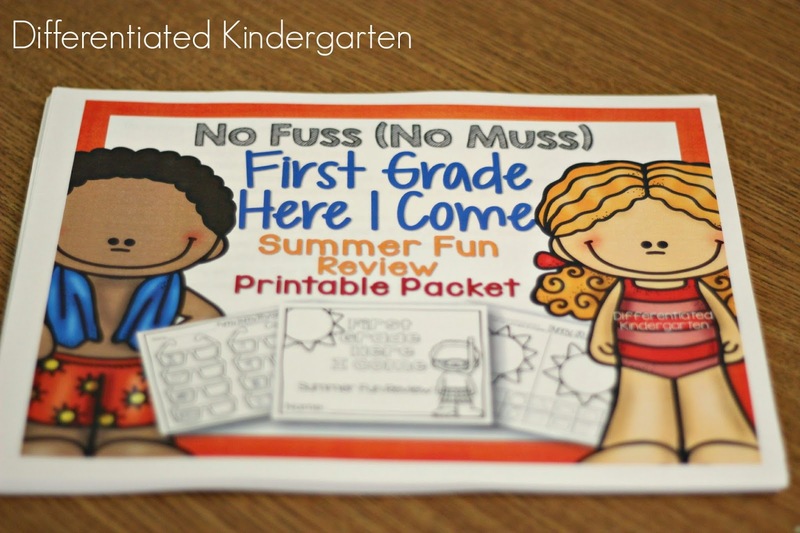 Enter . . .No Fuss-No Muss: First Grade Here I Come Summer Review Fun. 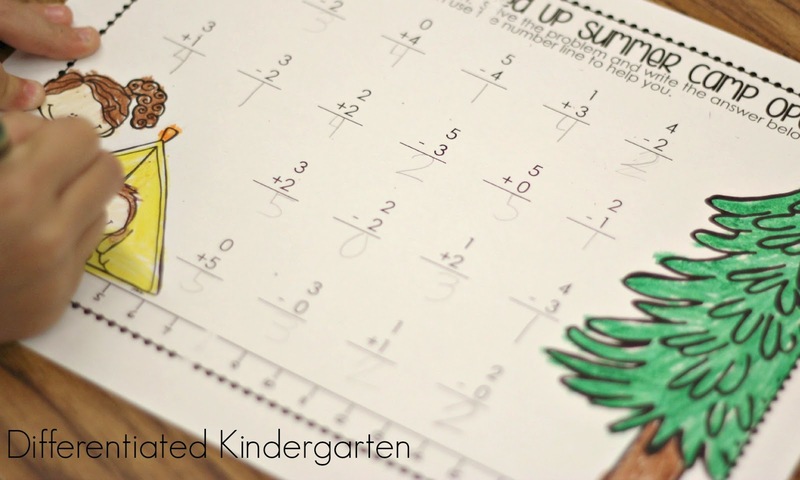 In fact, according to the National Summer Learning Association, most kids lose about 2 months of grade level equivalency in math alone during the summer months. YIKES!!! Now I’m not advocating for them to be studying all day when they need to be outside and being little, but I also don’t think that 15-20 minutes of something academic everyday is going to hurt them a bit. 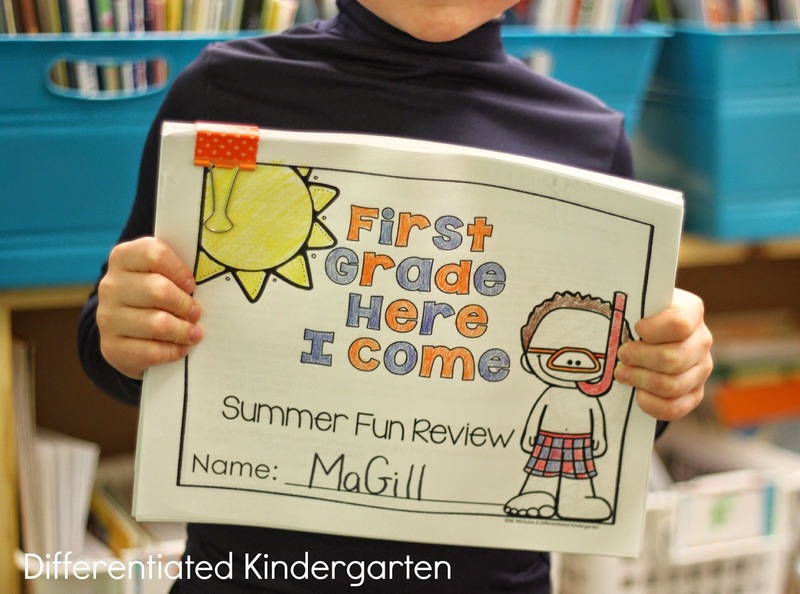 In fact, I hope it will ward off that summer slide and allow them to SLIDE right in to 1st grade without having lost of bit of what they gained throughout their kindergarten tenure. I didn’t want to staple these pages because there are just to many pages and I didn’t want to bind them, because they are interactive and need to be loose so that they can be selected to used in any order to be used. 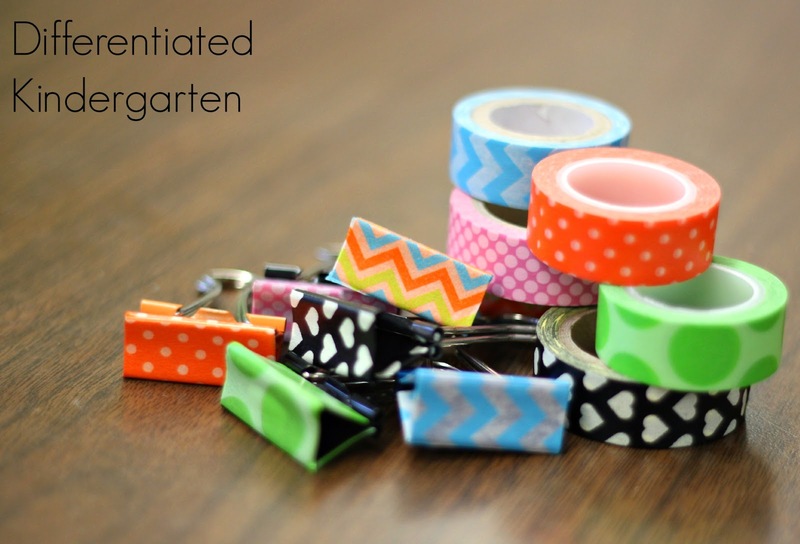 So instead I doctored up these binder clips by using a little washi tape. I let my students choose the one they want. This is just a small sample of the many many rolls I have. I just make up a bunch of the clips to give them a little variety from which to choose. (I have about 50 rolls of tape.) I’m kind of obsessed . . . just a little . . . or maybe ALOT. So back to the review pack . 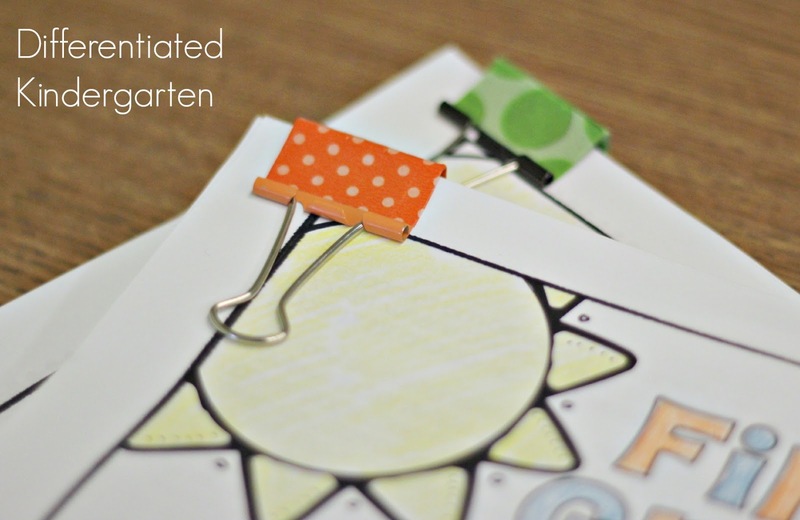 . .
My goal for this pack was to make it simple for teachers and parents . . . thus the black and white printable pages without the need for color . . . and yet make it INTERACTIVE and ENGAGING for students. 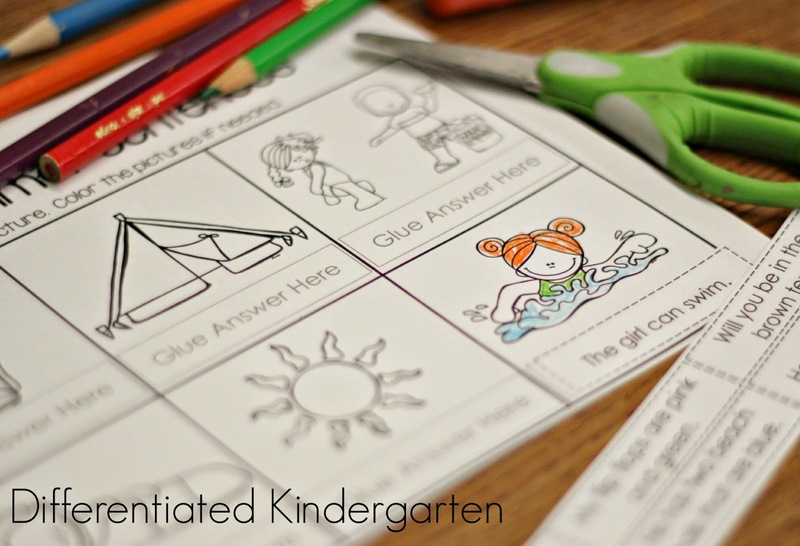 There is a ton of cutting (my kiddos still need a bunch of fine motor practice everyday), gluing, spinning, coloring, finding matching and sorting going on on these pages. And when I mean a ton . . . I mean A TON. There are 115 pages in the entire packet. 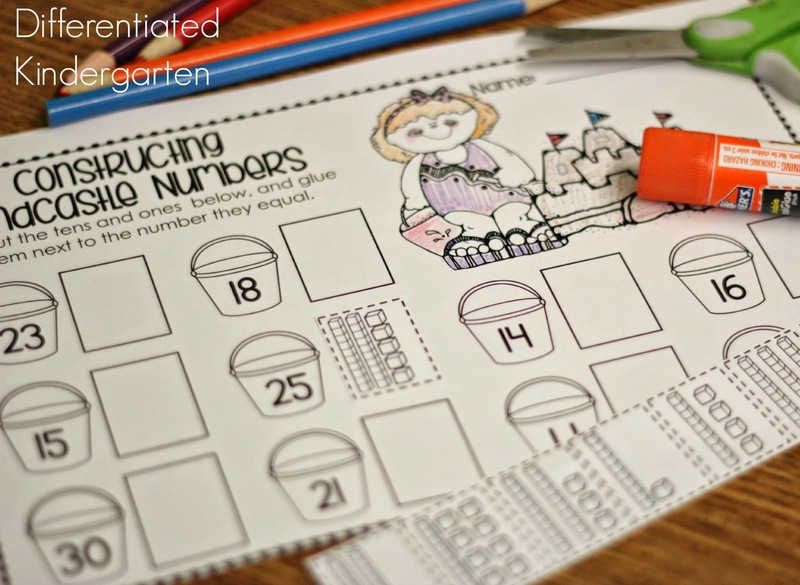 For math, there are over 30 activities alone. 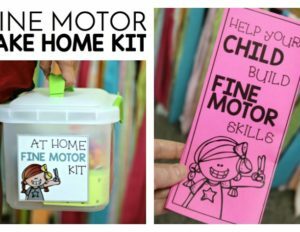 They range in skill and level of difficulty so that you are guaranteed to find something for every child. Include them all or select only the ones you want to send home with them. 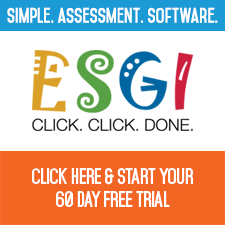 Need something for ELA? Yep! Those are included too. 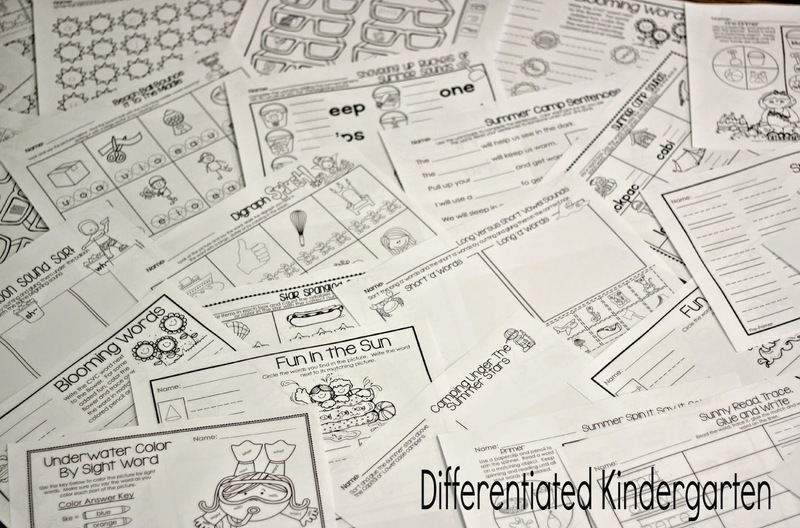 Over 36 different English Language Arts activities. 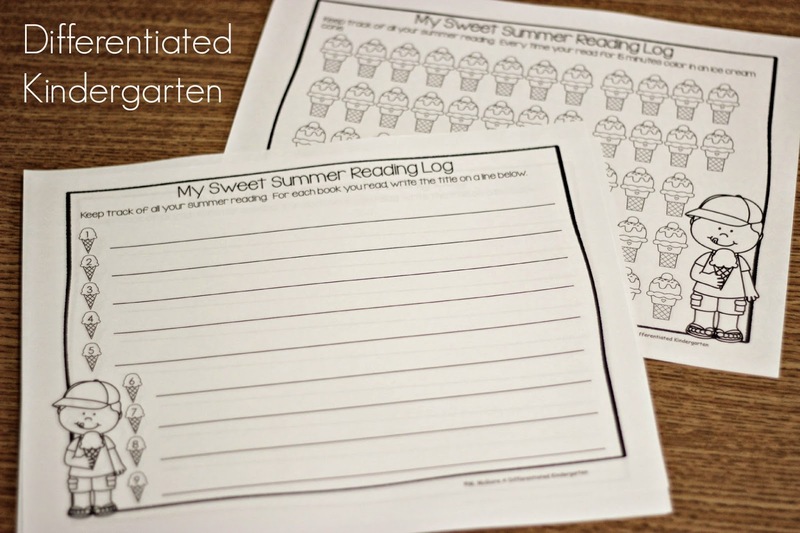 Including summer journal prompts . . .
two different summer reading log options . 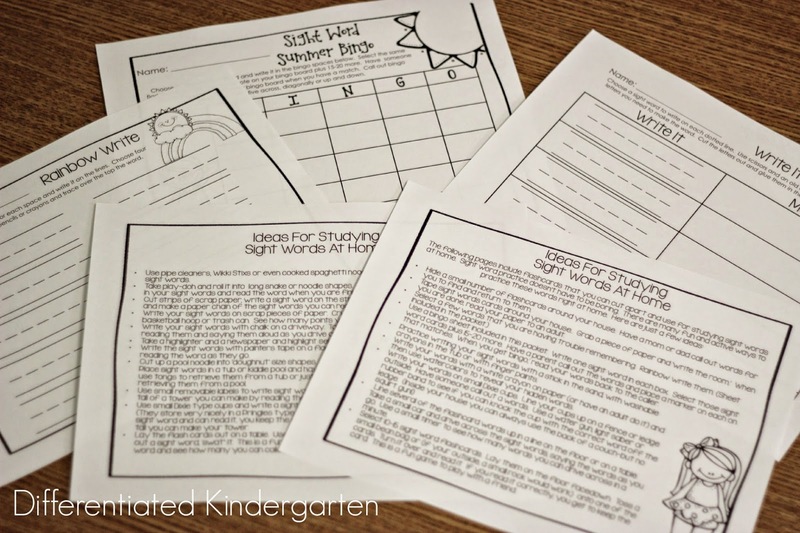 . .
and several blank sight word activity pages that can be duplicated and used throughout the summer as sight word work changes. 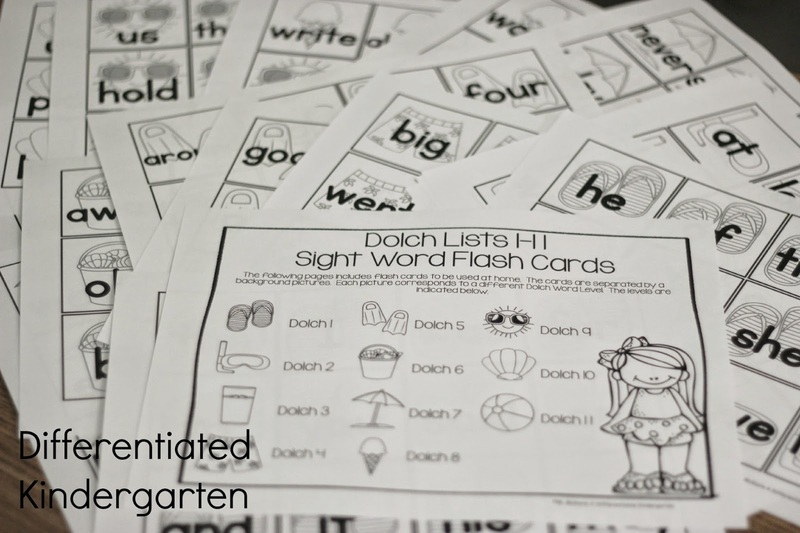 Parents in my own class ask me for a ‘list’ of sight words each summer. 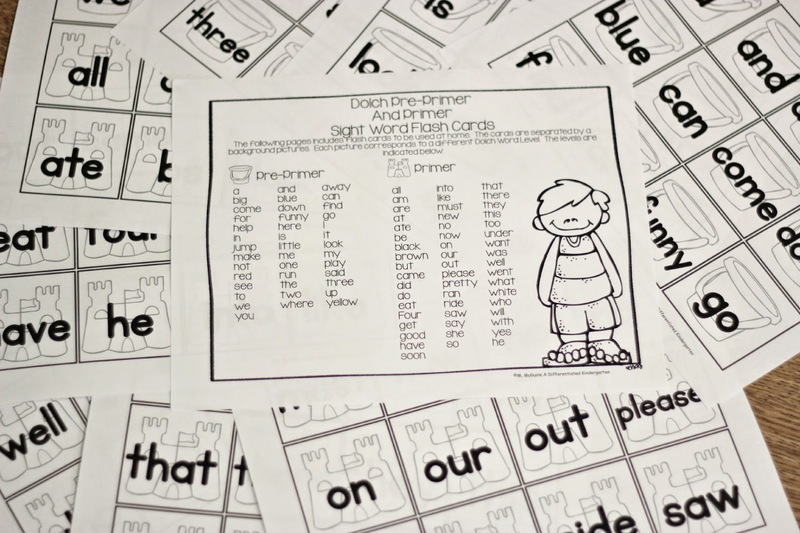 So for this pack, I included a set of sight word flash cards. You can choose the 220 words included in Dolch lists 1-11 or the Pre-Primer and Primer set to include in your packet. But I know the flashcards won’t be any good to any parent if they don’t have any idea how to use them. 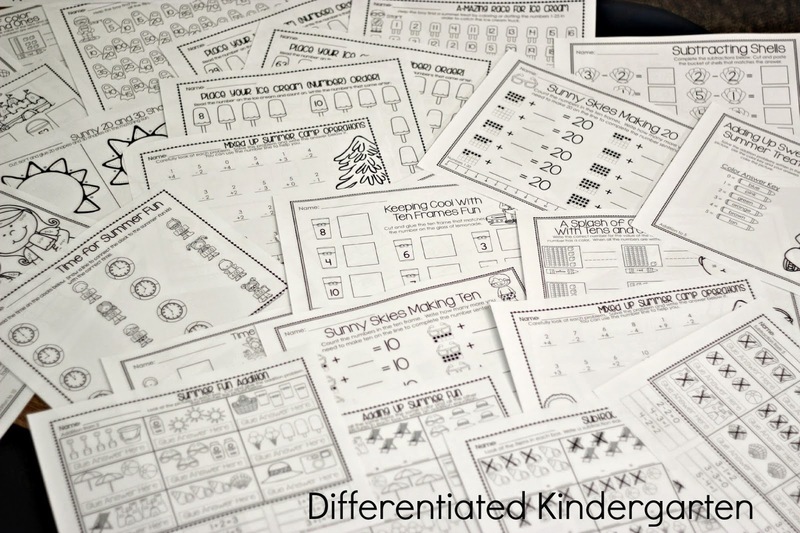 So I included two pages of activities, suggestions and games that can be played using these. It’s all here . . . 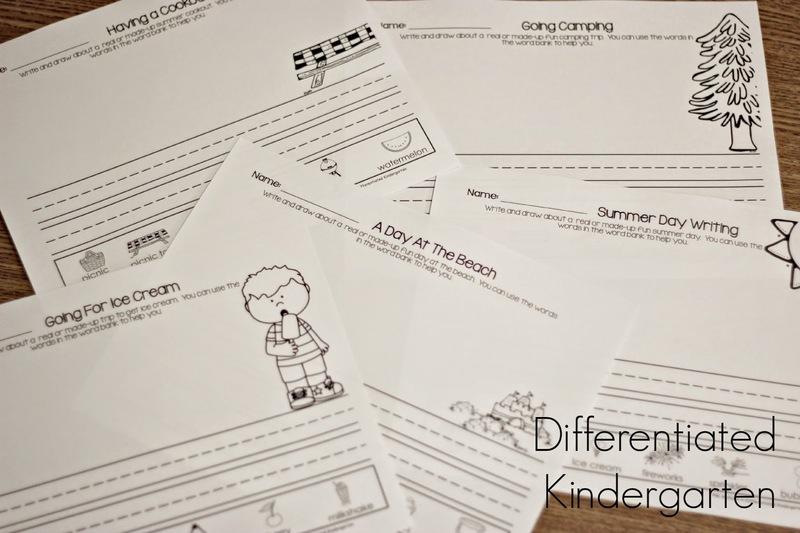 Math, ELA, Parent Letter, Boy or Girl Cover, Reading Log, Journal Pages, Blank Sight Word Work Pages, Sight Word Flash Cards, Parent Suggested Activity Pages! 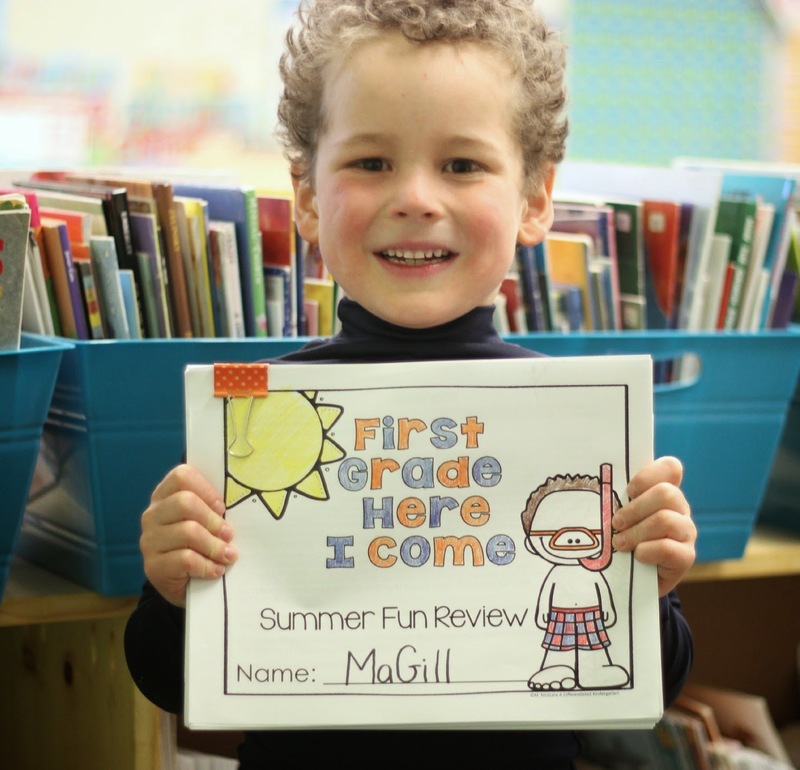 Everything that your kinders (and their families) need to be ready for 1st grade in the fall. To see a complete preview of everything that is included in this packet, please head over to my TpT store and check it out. 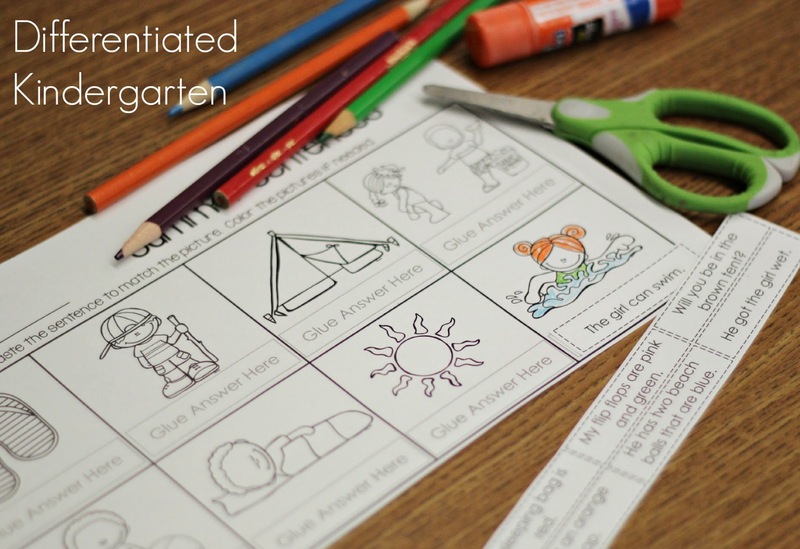 All the activities are listed as are the standards they address. Just click on any of the pictures on the post and it will take you right there. I’m anxious to see what you think. 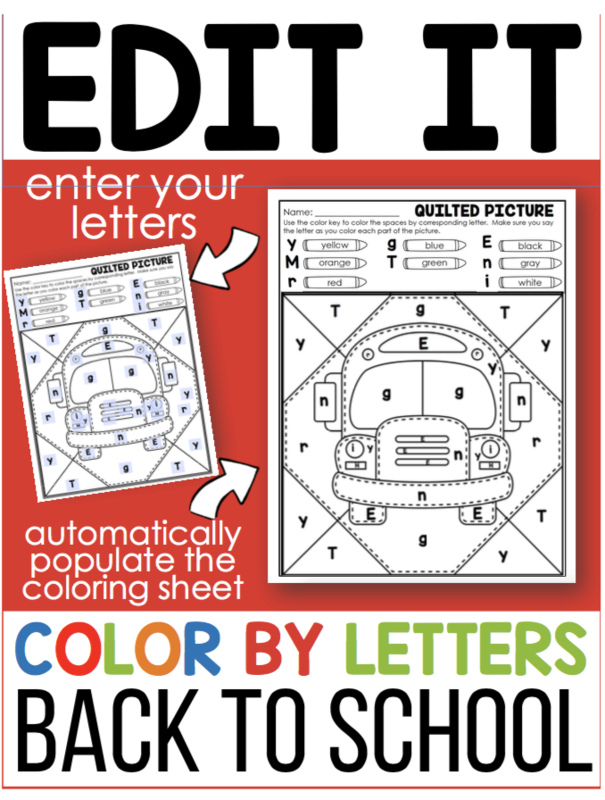 Summer Fun Freebie For Those Last Days of School. Marsha, it’s great, I am so impressed with your work. You do AMAZING things for the kids! I added you as my “surprise” for my May Currently shout out. I wish I had your time, ideas, and talent. You are AWESOME!!! Awwww that’s so nice of you! Thanks! WOW! I can only imagine what kind of time went into this gorgeous and extensive project! Fantastic job well done! Just awesome Marsha, I love it. 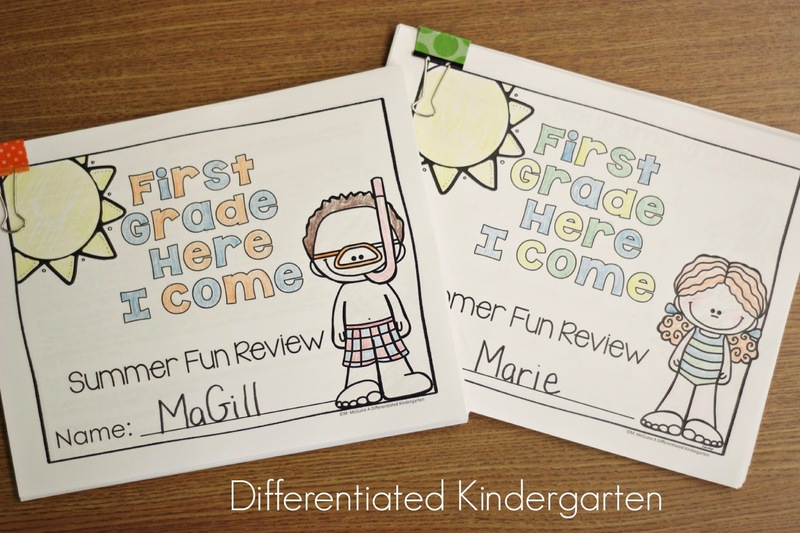 Must have for my Kinders this Summer, thanks!